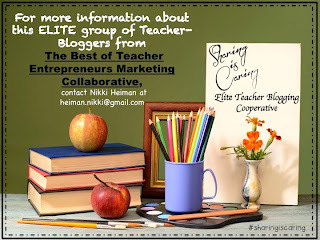 The Best of Teacher Entrepreneurs III: Teaching Students to Work in Groups- Blog Cooperative! Teaching Students to Work in Groups- Blog Cooperative! Love group activities but seeking some fresh ideas? Check out these great posts from a group of dedicated teachers! I found that having children work in small collaborative groups made learning fun for both myself and the class. Group work is been proven to improve student retention and enhance student learning. In fact, our whole culture is based on team work and working together to solve problems. It makes sense that when people work together (more brainpower) they come up with more ideas, suggestions, and solutions to a problem. But the question remains how do we get children to work together effectively? Group work is proven to be an effective teaching strategy, but how do we get everyone involved and organized appropriately? Here are some ideas on how to strategically plan out group activities! Check out the same group on our Linky! Celebrating one year of Fine Motor Gains! Your Backstage Pass To a ROCKIN' Year! Language Arts - "Rhyming Word Fun Lists"